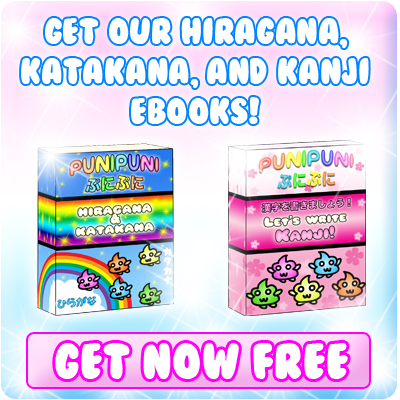 There are many ways to count things in Japanese depending on the type of object being counted! 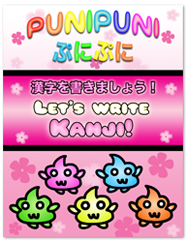 In these review notes, we will learn how to count weeks, months, and years in Japanese! 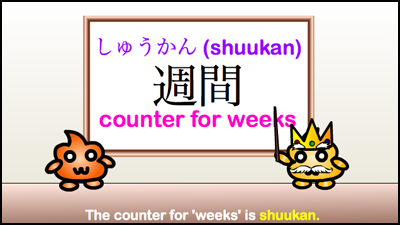 ★ You can use the Japanese counter 週間 (shuukan) to count weeks! 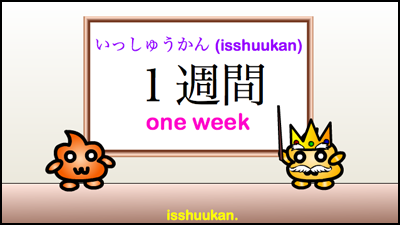 ★ The Japanese word for the one week is １週間 (いっしゅうかん – isshuukan). ★ The Japanese word for two weeks is ２週間 (にしゅうかん – nishuukan). ★ The Japanese word for three weeks is ３週間 (さんしゅうかん – sanshuukan). ★ The Japanese word for four weeks is ４週間 (よんしゅうかん – yonshuukan). ★ The Japanese word for five weeks is ５週間 (ごしゅうかん – goshuukan). ★ To learn how to count more than 5 weeks, refer to the numbers below. 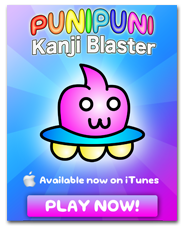 It follows the same pattern as other counters do. Hon ga todoku no ni nishuukan kakarimasu. It will take two weeks for the book to arrive. 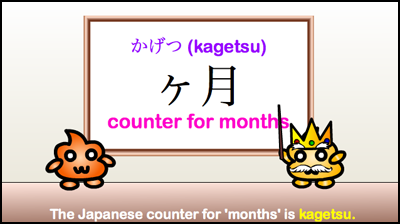 ★ The Japanese counter for months is ヶ月 (kagetsu). 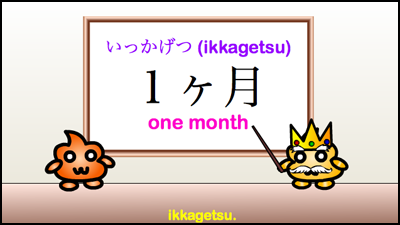 ★ The Japanese word for one month is １ヶ月 (いっかげつ – ikkagetsu). 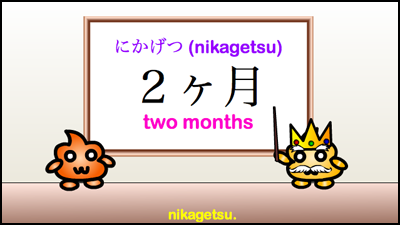 ★ The Japanese word for two months is２ヶ月 (にかげつ – nikagetsu). ★ The Japanese word for three months is ３ヶ月 (さんかげつ – sankagetsu). ★ The Japanese word for four months is ４ヶ月 (よんかげつ – yonkagetsu). 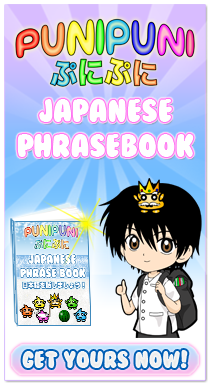 ★ The Japanese word for five months is ５ヶ月 (ごかげつ – gokagetsu). ★ To learn how to count more than 5 months, refer to the numbers below. It follows the same pattern as other counters do. 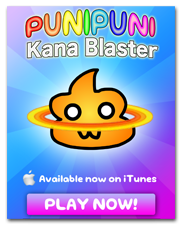 Sankagetsu mae ni nihon ni kimashita. I came to Japan three months ago. 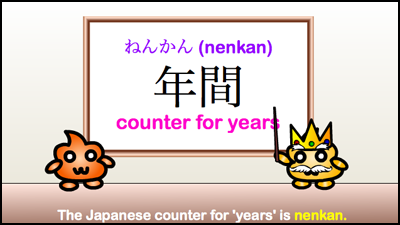 ★ The Japanese counter for years is 年間 (nenkan). ★ The Japanese word for one year is １年間 (いちねんかん – ichinenkan). ★ The Japanese word for two years is２年間 (にねんかん – ninenkan). ★ The Japanese word for three years is ３年間 (さんねんかん – sannenkan). ★ The Japanese word for four years is ４年間 (よねんかん – yonenkan). ★ The Japanese word for five years is ５年間 (ごねんかん – gonenkan). ★ To learn how to count more than 5 years, refer to the numbers below. It follows the same pattern as other counters do. 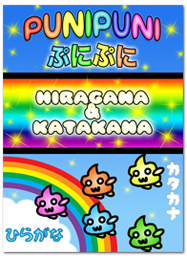 Ichinenkan nihon ni ryuugaku shiteimashita. 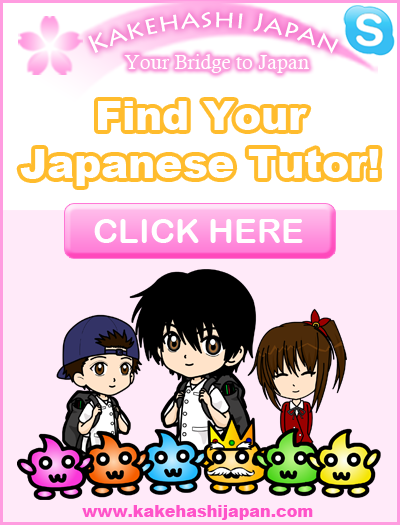 I studied abroad to Japan for one year. 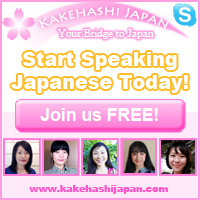 Today we learned how to count weeks, months and years in Japanese! 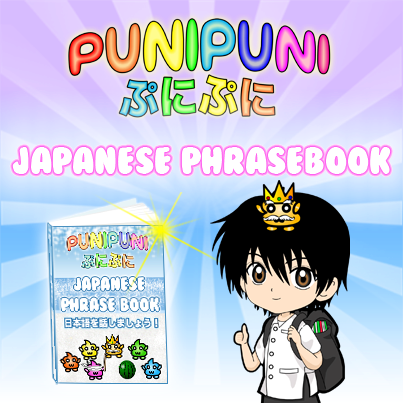 Check out more lessons on counting in Japanese below!